Many motorists don't realise summer heat can be just as hard on cars as the chill of winter. Fortunately, we have compiled a complete guide to driving in the summer, detailing how to prevent common breakdowns, what to pack in case of emergencies, pre-journey checks and car maintenance tips - to help keep you moving this summer. 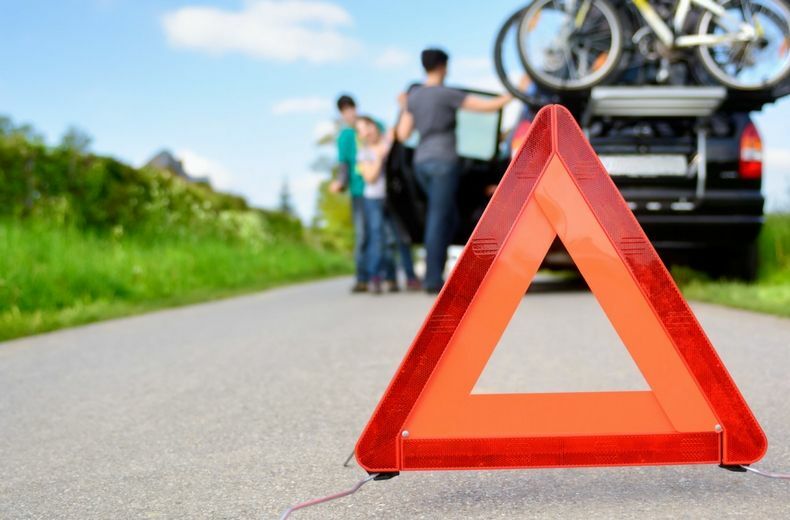 Here we look at the most common causes of breakdowns during the summer months and offer advice on how to prevent them. Below we reveal the five most common breakdowns our patrols were called out to last summer (2016) and offer advice on how to avoid them - helping you keep moving on your summer holiday. Batteries are the number one cause on the list for summer breakdowns. Car batteries have a hard time in winter, but summer can be little easier on them. Battery issues rise due to increased stop-start activity, not just in traffic, but more short journeys when people are at home or at holiday destinations. Also in situations where the whole family is loaded up on long journeys, often in slow traffic with increased number of entertainment devices plugged in; phones, tablets, gaming, dvd’s, sat navs and more, a lot more demand is placed on the battery and the alternator. What’s more, if you’re crawling in slow traffic, the car’s electrical system may not be generating enough power to replenish this battery drain. A warning sign the battery is getting low is lethargic starting, also lights might appear dimmer or take longer to turn on and it's possible not all electrics work, such as dashboard lights. If your battery is ageing, consider replacing it before a long summer road trip. Three-year replacement cycles are a good rule of thumb, as problems can set in once batteries get to four or five years of age. Be wary about taking lots of short journeys in the summer too, particularly if you have multiple devices plugged in. 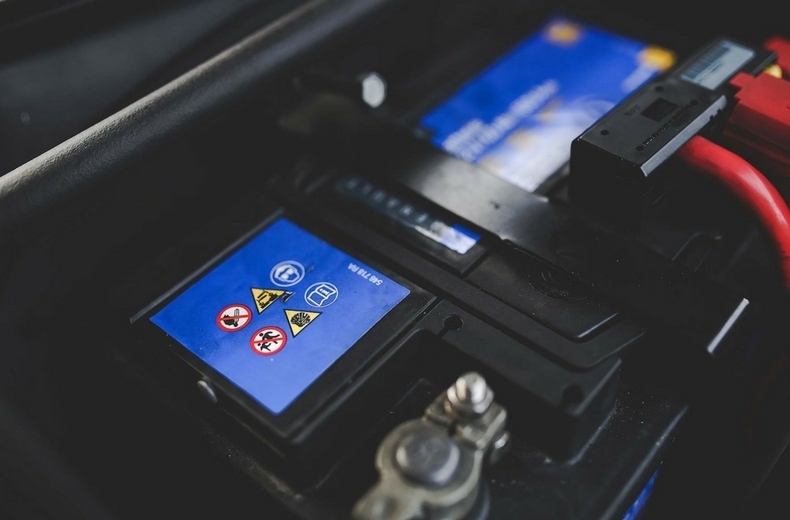 If you are using your car regularly for short trips, it may be worth checking and charging your battery at least once a week, particularly if it is more than three years old. We would also recommend a car battery comfort indicator to help monitor the battery’s condition. You can find more about how to charge car batteries on our car battery chargers page. For some car owners, the annual holiday is easily the longest trip they take in their car all year. This can soon highlight any lurking issues with tyres - cracked, aged rubber may just cope with a run to the shops, but might rapidly fail if subjected to more intensive use. Poor preparation leads to more blowouts as tyres should be checked before any long journey, also during the summer months tyre blowouts often occur on caravans and trailers too - tyre checks are not always carried out on caravans and trailers like they are on your car. Visual inspections will show cracks or distortions in the rubber, if you regularly check your tyre pressures and notice one tyre often has a lower pressure than the others it could be a sign that it has a slow puncture and needs replacing, or that perhaps the valve is faulty. It’s vital you check the condition of your tyres, and your tyre pressures, before embarking on a long journey – check against what it says in the car (or caravan/trailer) manual. Here is a short video on how to check your tyres. Remember, you need to increase tyre pressure to the correct PSI if you’re planning on carrying heavy loads, such as a car full of luggage and people, before you set off. You'll find the correct PSI levels you need to inflate your tyres to on the inside of the doorframe or in your owner's manual. Believe it or not third on the list is actually attending call outs where someone has had a puncture but their vehicle doesn't have a spare. 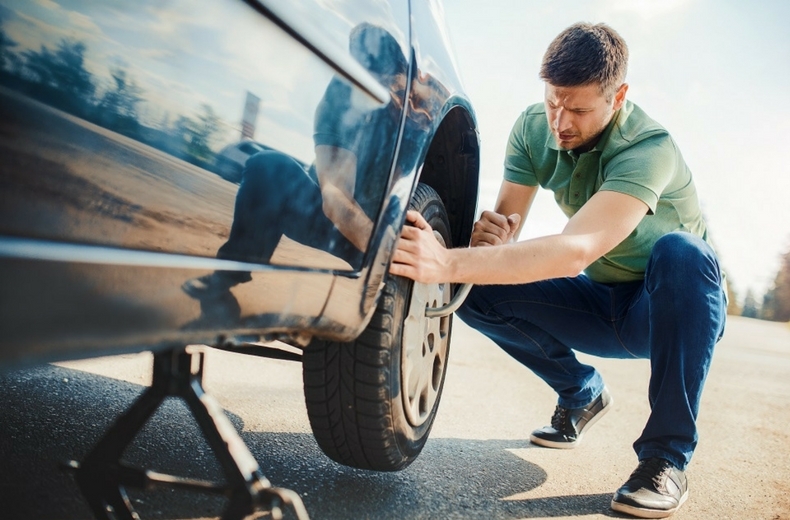 A puncture can happen at any time - but with many drivers covering more miles in the summer, on a greater variety of roads, it can be more likely to happen during the holidays - particularly when cars are heavily laden with passengers and luggage, putting extra stress on the rubber. Some drivers might think it’s not a problem, until they open the boot and discover their car doesn’t have a spare wheel, but a tyre repair kit instead. These can work if it’s a minor puncture, but if the tyre is ripped, torn or shredded, a tyre repair kit will be no use. How to prevent this one is pretty straightforward - check if your vehicle has a spare tyre before you set off. If it has a tyre puncture repair kit, it's worth familiarising yourself with how this works. Read our full guide on what to do if you have a flat tyre. If you fall victim to a puncture that you cannot repair, you may need to call our mobile tyre fitting service on: 0800 096 6320, which can source an appropriate replacement for your damaged tyre, you'll need your tyre details to hand to help us source this. Clutches take a real beating in the summer. Busier roads means they will be used more in slow-moving traffic, while driving on unfamiliar roads in remote locations also takes its toll. Driving in unfamiliar locations, perhaps when you weren't expecting hills or altered terrains often results in added strain on your clutch. However, a big cause of clutch failure is towing, say our patrols. If you have a caravan and it is incorrectly loaded, this will accentuate any issues, and soon reveal any pre existing clutch issues. Mix together a worn clutch with a heavy caravan and a hilly holiday location, and you’ve got a recipe for clutch failure. Clutches don’t normally just fail, there usually are signs of wear beforehand, such as a heavy or gritty pedal, a high clutch bite or, simply, signs that your clutch is slipping when you accelerate hard in a high gear at low speed. Firstly, familiarise yourself with your route and the local roads around your holiday destination. Secondly, if you are towing, you need to prepare and ensure your car has the right towing capacity for your caravan or trailer. Our complete guide to towing a caravan will tell you all you need to know. If you have any doubts, or are concerned about any of the warning signs above, book it into a reputable garage and speak to a professional. Getting it changed, isn’t always as expensive as you may fear, and a lot cheaper and less stressful than a holiday breakdown. Number five on the list, alternators - a costly repair. 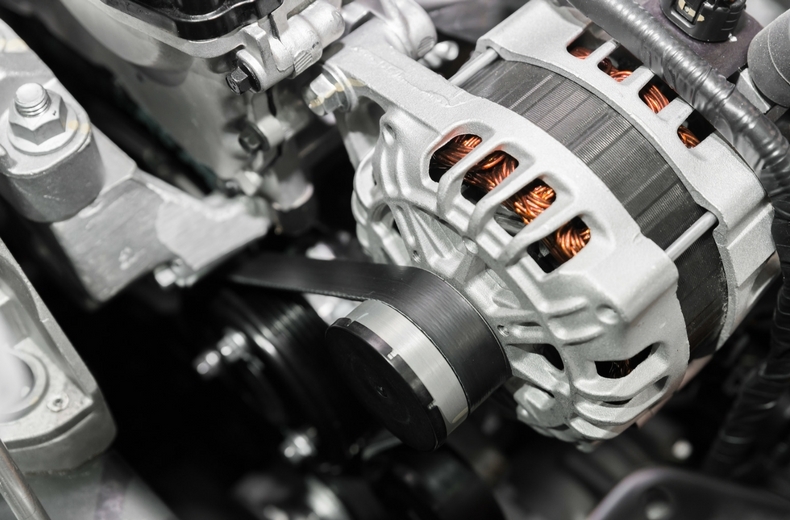 Alternator issues are related to battery-related problems; this time, it’s excessive demand on the alternator that can cause issues to arise. The drag from connecting more power-hungry devices, combined with hotter weather, will quickly highlight any weaknesses. A sign the alternator may be failing is the car’s red battery warning light flickering or fully illuminating on the dashboard. It’s red for a reason: pull over and stop the car as soon as it is safe to do so. Alternator replacements are not cheap and fitting a new alternator is not the work of a moment. Often, you’ll need a new drive belt on top, adding further expense. An RAC patrol will be able to recover you to a garage for it to carry out the repair work, but be warned: it’s not an immediate fix. Have the cooling system checked – a leaking cooling system or inoperative cooling fan could cause the vehicle to overheat and cause extensive damage to the engine. It’s worth noting that owners of vehicles with air conditioning will often see a small amount of water on the floor – this is perfectly normal and is simply condensation of the air conditioning system. Check the operation of the convertible roof, if your car has one. Especially if it hasn’t been used for some time. Make sure you know how to open or close it manually if needed. Also, if your car has one, check the fan belt (sometimes called the auxiliary belt) on a regular basis by your local dealer/garage. Inspect the jack and wheel brace making sure they are in correct working order. If locking wheel nuts are fitted, ensure the locking key is safely stowed away in the vehicle. It may be useful to practise changing the spare wheel, following instructions from your owner's handbook. If no spare is supplied with your vehicle make sure you are familiar with the tyre repair kit in case you need it. Ensure all dashboard warning lights operate correctly. If not, consult your owner's handbook or call your local dealer. These are caused by condensed water from the air conditioning system. Unless the smoke is acrid, it’s just water vapour produced by the air conditioning unit that hasn’t had time to condense. This is the cooling fan turning on and off. If your car seems more lethargic in summer, this is probably because the air is warmer and less dense, giving the engine a little less “oomph”. Remember the acronym 'FORCES' and you'll go a long way to ensuring your car is ready for any long drive. Ensure you have enough fuel for your journey. Cars use more fuel in heavy traffic and start/stop conditions which can be regular occurrences, especially in wintry weather. To avoid engine damage and a potential breakdown, remember to check your oil level and top up when necessary. 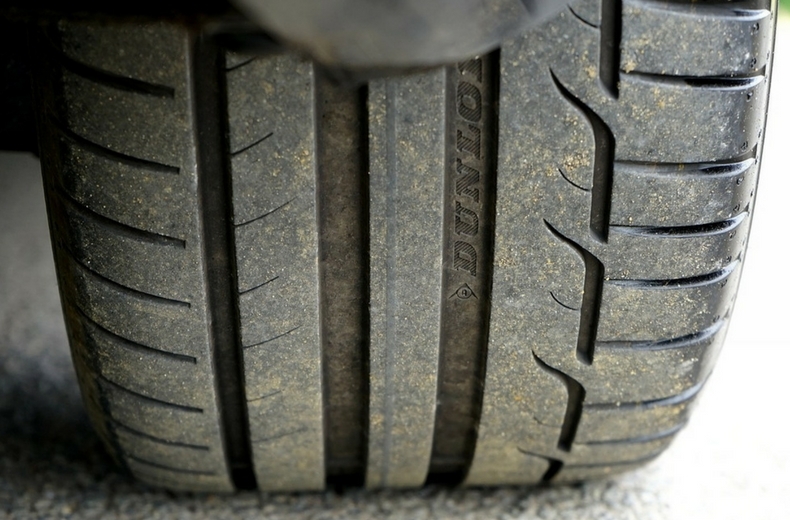 Your tyres can tell you a lot about how your car is performing. If they aren’t wearing evenly, then tyre pressures may be mismatched or there could be a fault with the steering. Check that all four tyres have at least 3mm of tread and are inflated to the correct pressure - this is vital to maintaining good grip in wet and even icy conditions. For everything you need to know about how to check your tyres you can read our how to check your tyres advice complete with short video. Also take a look at your wiper blades to ensure they're clearing the screen effectively and that the rubber has not perished. Make sure it's topped up to your vehicle manufacturer's recommended levels and it contains the right amount of anti-freeze. Check all of your lights are working correctly including your indicators, brake lights and fog lights - and replace any faulty bulbs or blown fuses. Top-up your windscreen washer fluid by using a good quality screenwash which is effective down to cold temperatures. Remember that colder conditions demand a more concentrated solution. You can purchase a number of these items at the RAC Shop. If you're towing a caravan, check the tyre condition – tyres can deteriorate quickly when not used for some time, so check for any cracking in the sidewalls. Also check the braking system, the indicators and brake lights and coupling gear. Make sure that the caravan is properly balanced with the load distributed as advised by the manufacturer. You certainly don't want to discover you've got an uneven load when you hit the road! In addition, never overload your vehicle or caravan beyond their designed carrying capacity. Good weather makes it a great time for horse riding, cycling and walking, which increases the risk of meeting slow moving animals, vehicles or people just around that next bend. If you’re coming up behind a horse, give them enough space and reduce your speed in plenty of time. Horses are unpredictable and can spook easily, so don’t rush up to the back of them or make any sudden noises. If you’re coming up behind a cyclist or a group of walkers, as with approaching a horse rider. you must give them enough space and reduce your speed in plenty of time. You can’t be sure of a cyclist's skill level, whether they’re aware of your presence or what they’re going to do next, so it's crucial to pass slowly, giving them plenty of room. In urban areas with fast moving dense traffic, it’s particularly important to watch for bikes coming up on your left hand side – always give your nearside mirror a quick glance before turning left. Bright sunshine can cause major issues for motorists driving in the face of it, and sometimes a sun visor just doesn't cut it. Summer has a higher chance of clear skies, so always having a pair of sunglasses in the car is good idea - both fashion and safety-wise. However, there are certain types of sunglasses that aren't suitable for driving, which should never be worn when behind the wheel. Category four sunglasses are illegal to wear while driving as they let less than eight per cent of light through the lenses. Sunglasses must be labelled in the UK to show the 'filter category number'. Category four should be labelled 'not suitable for driving and road use'. Variable tint lens sunglasses are also not suitable for driving because modern car windscreen glass filters out UV rays - so the tint on these glasses that becomes darker when exposed to sunlight will not work. Rising temperatures and busy summer traffic jams are the perfect recipe for increased stress levels when driving. It's important to plan your route in advance, careful to avoid busy driving times and roads if you can help it and ensure you take regular driving breaks. If you're driving with children, ensure they are happy and comfortable with enough in-car entertainment to keep them occupied and regular breaks to stretch their legs. Is driving barefoot or in flip flops illegal? To help plan your journey visit our route planner and see the latest traffic news which gives the most up to date road information available including incidents and ongoing roadworks.